Interested in offering premium courses? We now provide the capability to accept payments directly through SimpleVLE. This is done simply, by connecting your existing Stripe Account, or if you don't have one, you can create a new Stripe account and connect it afterwards. With ease, prospective students will be able to register and pay the course fee through our platform, while the payment is deposited directly to your Stripe account. 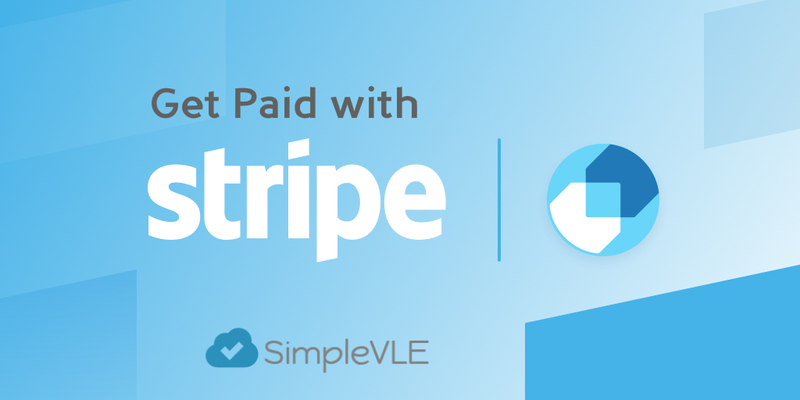 SimpleVLE only takes a 15% fee, while the remaining 85% will be deposited into your Stripe	account. The Stripe fee is paid from our 15%, so you don't have to worry about any unexpected additional Stripe fees. So for example, if you charge $10 for a course, a student can sign up and pay $10, you get $8.50, and Stripe and SimpleVLE split up the remaining $1.50, which equates to $0.59 for Stripe and $0.91 for SimpleVLE. You do not have to be a paying member to connect a stripe account. However, you will still have the same limitations that a free account has. 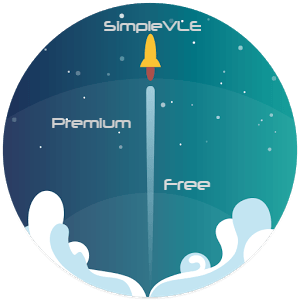 We encourage our users to purchase a premium membership from SimpleVLE to provide an unlimited experience with no ads and if you start to sell courses on a regular basis, we will waive your membership fees. Contact us with questions or concerns regarding merchant accounts. Major Updates - Affects All Users! Attention all Users! There will be several major updates coming this week on 10/12/2017. These new updates will affect all of our users, hopefully in a positive way. Please read this blog post so that the changes will not come as a surprise. Most importantly, users will be able to create courses and all classes will be derived from those courses. This will mostly help those instructors that teach the same material more than once to multiple groups of students. For example, an instructor can create a course titled Calculus II and then create a class from that course called Fall Semester 2017. After creating a grade scale, making some announcements, assigning homework and quizzes for the first class, the instructor will no longer have to create another class from scratch. He/she can duplicate those announcements, assignments, etc when creating a 2nd class called Spring Semester 2018 as an example. The only thing that would need to be altered is the due dates for each assignment. So what does that mean for current instructors? Current instructors will notice that their current classes will be encompassed within a course. The name of the course will be the original class name and the class name will be defaulted to 'Class 1.' Don't worry because users will be able to rename their classes and/or courses to whatever they like. 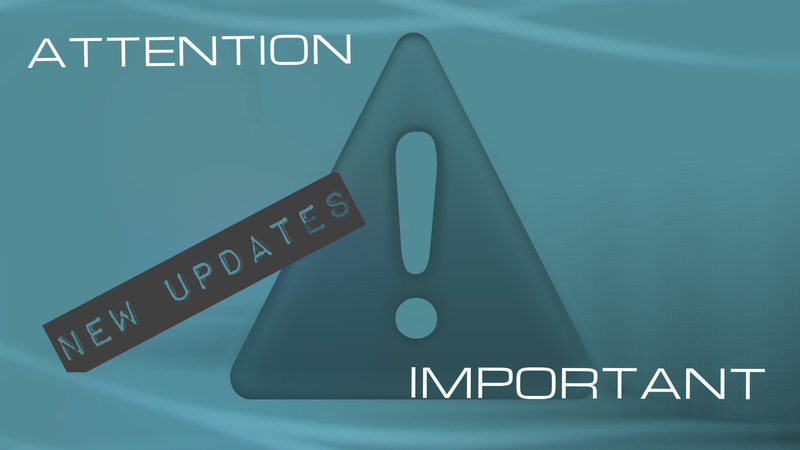 The 2nd site update may not apply to all instructors, only those who intend on offering premium courses, or paid content. Now, instructors who want to sell their courses, SimpleVLE offers a Merchant Account. See the following blog post for more details on merchant accounts. Finally, we have upgraded our user interface and enhanced the mobile experience. Users will notice that the site displays better on mobile devices as well as traditional PC sized monitors. Please let us know if there are any problems or if you have any suggestions. Thanks! We are very pleased to announce that SimpleVLE has just completed an initial integration of the open-source web-conferencing/learning tool - BigBlueButton. Our premium members now have access to the most comprehensive open source web-conferencing tools available. Most, if not all other e-learning sites only offer the service to its enterprise members and most LMS systems like Moodle require you to install Bigbluebutton on a server of your liking. We provide an extremely user-friendly BigBlueButton integration at no additional cost outside of our normal membership fee. What exactly is BigBlueButton? 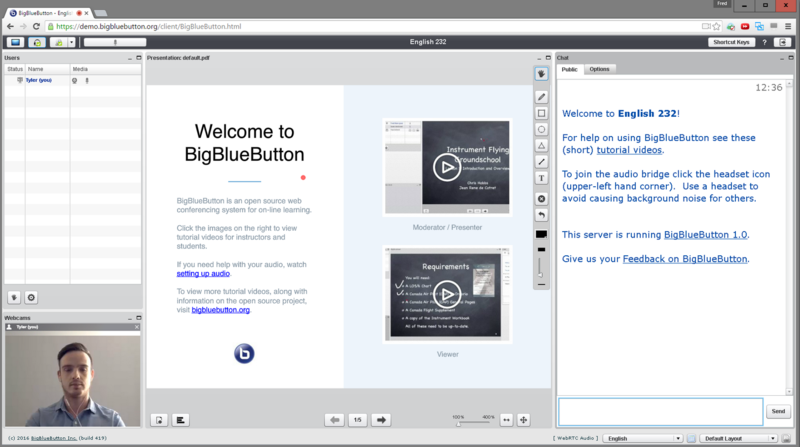 BigBlueButton is an amazing tool that provides real-time sharing of audio, video, slides, chat, and desktop. Built-in polling makes it easy to engage students and recording your lectures means that you can make them available for later review. When using the whiteboard tool in BigBlueButton, annotations are automatically displayed back to the students in real-time. Presenters also have the ability to zoom, highlight, draw and write on presentations making your points clearer to remote students. There is no limit on the number of webcams you can share in a session (only limited by bandwidth). BigBlueButton is open source, and the community of developers are still very active in its continuous development. They are making improvements on a daily basis. While the current iteration requires Flash, there is an HTML5 client in development that is extremely promising, especially for mobile users. While the meeting presenter must use the Flash version to create a meeting, we do allow the meeting attendees to choose between the HTML5 client and the Flash version. For more information about BigBlueButton, check out the website. 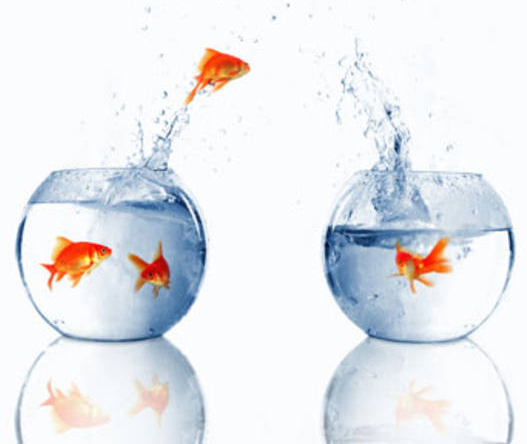 For more information about our specific integration, contact us here or if you are a member, you may contact us by phone. Data visualizations such as graphs and charts can help a teacher tremendously when making decisions. Most of the time, data displayed in a graph and/or chart can be analyzed much easier than that same data presented in a table. SimpleVLE provides simple but effective graphs and charts to visualize test and overall student performance in several different ways. One of the most useful is the test performance graph. This line graph is very useful in determining which subject areas the class or group is having trouble with. A spike in this line graph may indicate that the instructor needs to concentrate on that question's relevant subject matter. To make things easy, the graph is interactive allowing the instructor to click the points of the graph to get additional information, including the question text, correct answer, and which students answered the particular question incorrectly. 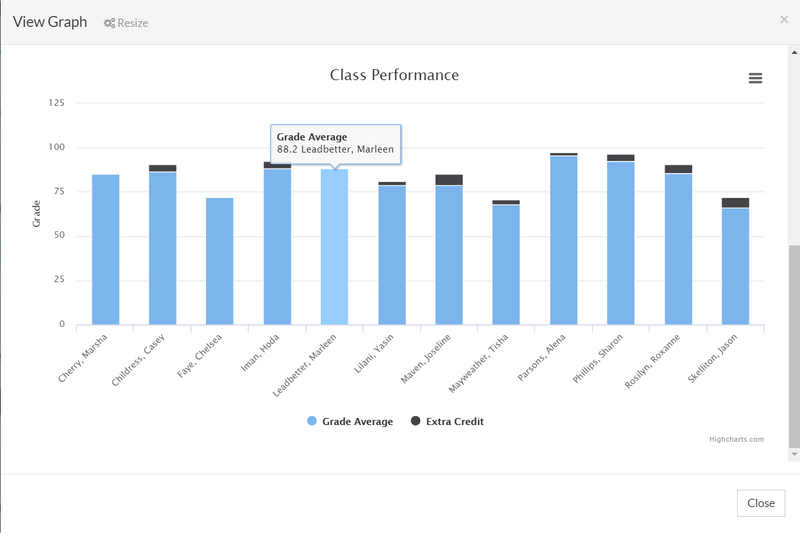 In addition to the test performance graph, there are the student performance graphs and charts that give the instructor the ability to track individuals while comparing their performance with the class as a whole. These graphs and charts are only applicable after the teacher has created a grade scale. Overall student performance can not be calculated without creating weighted grade scale categories that apply to each test or task. All charts and graphs can be exported into various file formats such as pdf,png,svg, and jpg. These charts can be used to create detailed reports on student progress for example. We are always looking for new and effective ways to present the data so if you have any suggestions on other methods so please contact us here. For those who want an inexpensive class management solution which includes live phone support, unlimited file and content sharing, and no advertisements, we have created several options just for you. These options along with other new features, coupled with exciting enhancements scheduled for future deployments, require us to charge a small premium to the users that wish to utilize them. Everything stays the same for our existing user base, however now users have the choice to pay a small fee for the additional features and support. Depending on the situation, there are two additional plans that are being offered as well. Individuals can save $20 by purchasing a premium account billed on a yearly basis for a total of $88 dollars a year. Alternatively, group accounts are available for schools and businesses which can be customized to fit their needs. Click here for more information about our premium account offers. We have great news! SimpleVLE has moved into the AWS cloud. What does this mean for our users? Well most importantly, there should be no more down-time, because our systems have been configured in a way to mitigate hardware failures. In the past, our single server was a single point of failure. Now, AWS's Elastic Load Balancing monitors the health of our instances(servers) and when it determines that an instance is unhealthy, it no longer routes traffic to it. Instead, it spreads the load across the remaining healthy instances. 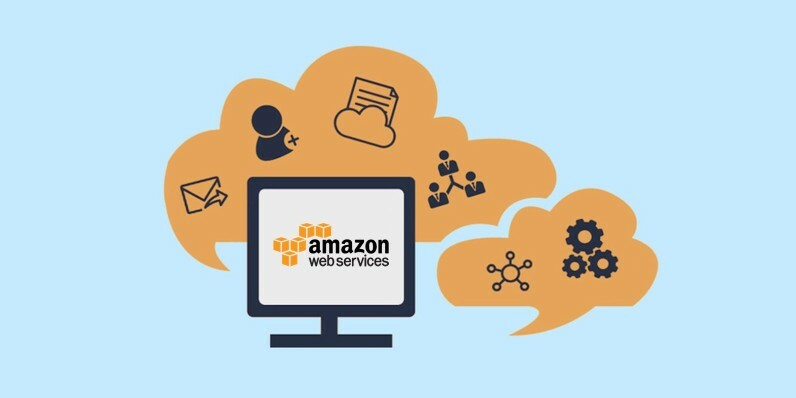 The performance should also be very noticeable now that we are on AWS. Using AWS tools, Auto Scaling, and Elastic Load Balancing, we can scale up or down based on demand. Backed by Amazon's massive infrastructure, we have access to compute and storage resources when we need them. In the past, when more users came to the site, there was a huge decline in performance. All of the aforementioned things are great right? Better performance, zero down-time, it couln't get any better than this. Well, there is a problem...COSTS! The costs are going to be much higher, so we will definitely need donations to keep the site going. Click the following button to donate. With little to no ad revenue, every little bit helps us keep the site free. To encourage donations, we are open to providing reasonable customizations for those that donate. For example, custom login pages for your students, school logos and color schemes are within the realm of possibility depending on the level of support provided. We may create a premium service for customizations in the future and donating users will certainly be given free access to those premium services. Thanks for using SimpleVLE. To protect your personal information, this site employs Secure Socket Layer - SSL, an encryption technology, on all of its pages. If you wish to view our certificate, you can just click the green lock icon, typically at the top of your browser on the left side of the address bar. Under the words "Valid Certificate," click the button labeled "View Certificate." This will give the details of the certificate, including the encryption algorithms, etc. You can also view the official seal in which Godaddy has officially verified the certificate holder and domain. What is SSL? SSL (Secure Sockets Layer) is the standard security technology for establishing an encrypted link between a web server and a browser. This link ensures that all data passed between the web server and browsers remain private and integral. SSL is an industry standard and is used by millions of websites in the protection of their online transactions with their customers. Finally, as with everything else. Please let us know if you have any problems with the site. Thank you. Due to many requests, we have implemented the class wall. Each and every class you create will contain a class wall, aka blog for instructors and their students to discuss current events, problems, solutions, suggestions, or whatever floats their boat. The class wall is a great place for open discussions with the entire class. The instructor has full control over the class wall. This means that the instructor will be able to delete all posts and replies regardless of who created them. Students will only be able to delete the posts and replies that they create themselves. This is to guarantee that the class wall does not contain anything that the instructor thinks is inappropriate. You can access the walls in two different ways. 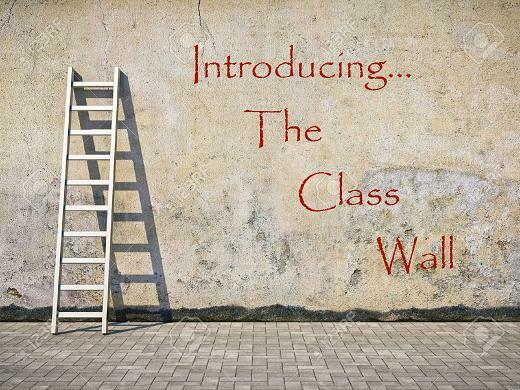 Students and instructors, both can access the class walls by clicking the blog menu at the very top of the page and selecting the class associated with the wall you wish to view. Another way to access the class walls for instructors, is to click the classes tab on the Instructor Panel, select a class, and click the 'Class Wall' button. Students can access the class wall by first entering the class from the student panel and clicking the link 'Class Wall' at the bottom of the page. As with everything else implemented on this site, we want feedback about the class wall, including any errors, problems, or any suggestions on how to improve the functionality of the wall and/or the website in general. Please take the time to reply to this post or send us a message. Thank you. For your information, we have made choosing a timezone mandatory during registration. As for our current members, they will be redirected to their profile page every time they login until they select a timezone and save their profile. It is important to note that this only applies to instructors. Therefore, students' timezones will be the same as their instructor's timezone. If a student has more than one instructor for multiple classes, each class will depend on what the intructor's timezone is. In the past, we only set a user's timezone when requested to do so. Therefore, we know that many of our user's either converted their time into US Eastern or did not use due dates and start dates at all. That day has past and we are sorry that it took so long to implement this option. 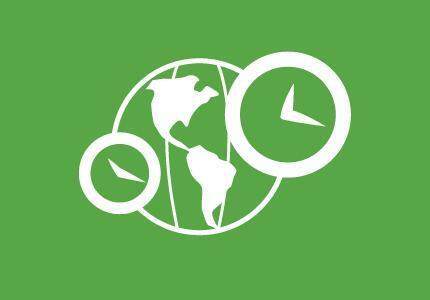 Once your timezone has been selected, all assignment due dates, start dates, and stop dates will now correspond with your timezone. If you notice that there is any discrepancy in your test or task availabilities or anything that leads you to believe that something is not working correctly, please contact us immediately. We have tested this new functionality, however nothing is truly tested until our user's are completely satisfied with it. Thank you. One of the biggest complaints about the website has been the lack of tutorials and instructions on how to use it. While the functionality of SimpleVLE is relatively Simple(hense the name), there can be some confusing elements that come with the territory of hosting dynamic web content and providing the tools that allow users to generate that content. In other words, a site with this much functionality can't be but so simple, right? Finally we had some time to create some very detailed step-by-step tutorials that go through how to use the many tools that SimpleVLE provides. The tutorials can be downloaded in pdf or powerpoint format or you can try the interactive HTML5 version. We will continue to create new tutorials where we see the need. We also upload videos of the tutorials on our Youtube channel. 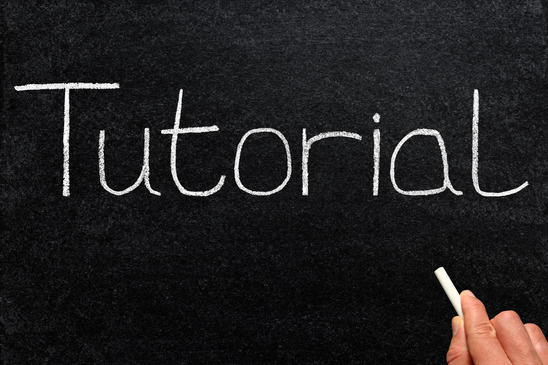 Click here to view the tutorials and let us know if we missed anything or if there is any other subjects you wish us to touch on. A Frequently Asked Questions section has been added as well. There are not many there at this time, but we will provide a form that you can easily ask us more questions and we will post the ones that are the most frequent. If it is a question that only you seem to have, we will answer you by email if you leave us one. Finally, New Question Types Added! New question types have just been added to our test design options. 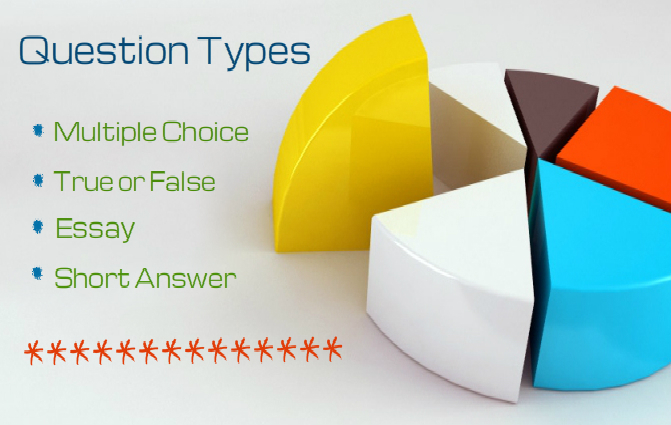 In addition to multiple choice and true or false questions, you now have the capability to create tests with short answer and essay questions as well. Creating the new question types are just as simple as creating the multiple choice questions. The only difference is that these questions will need to be manually graded, but don't worry. We have created a very user-friendly grading wizard that allows you to very quickly and methodically grade each answer with much ease. 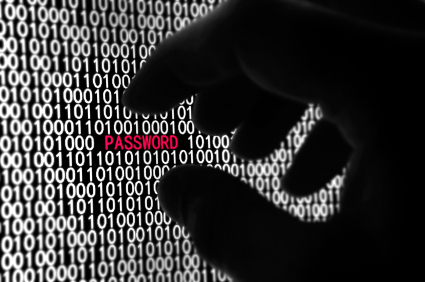 Website Security - How secure is SimpleVLE? 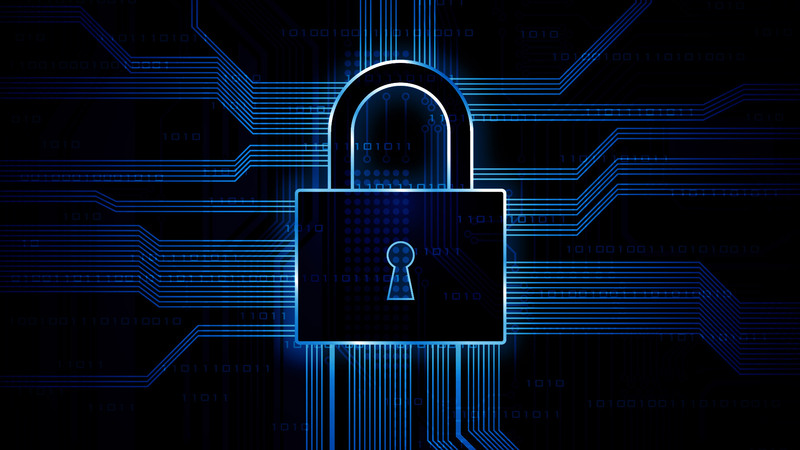 Like any other website owners, we are always concerned about the security of our website and our users' information. Therefore I would like to take this time to talk about security and how it relates to our website. First of all, we do not share our users' information with any other sites or entities whatsoever. Actually, we only require our users to provide the most basic information, which consists of a username, password, email, and general location which will be used to determine timezones in the near future. What happens to your information if you stop using SimpleVLE? At any time, users may request a complete wipe of the information that he or she has provided. Furthermore, all accounts that are inactive for 6 months or more will be deleted automatically unless an exception has been made for that user. We would rather not keep any more information than we have to because we do not want to waste any resources on users that aren't even using the site. SimpleVLE has been upgraded to a new and improved responsive design. The new site will be a little different than the old site, but the main components remain the same. While most of the original options are functional, many of the new options have not yet been completed. However, the options and tools that are necessary to managing a class are available. I will be using this blog to update users on the upcoming options, new tools, and many other subjects that require a detailed explanation. 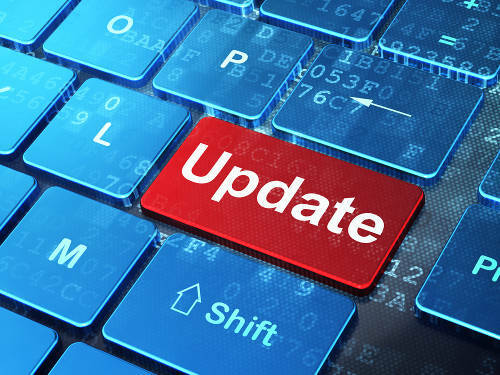 Please be patient as I make the necessary changes and please let me know if you have any problems regarding the new configuration. There will be more information coming soon. Update: I hope that everyone has contacted me that wanted their accounts to be migrated to this new system. If you did not have a chance to contact me but do want your old accounts migrated to theis system, please contact me immediately. You may contact me by using this contact form. Please refer to the previous blog post for more information. Thanks for using SimpleVLE! Due to the website upgrade, all accounts had to be deleted with the exception of those accounts belonging to active members that contacted me prior to February 22, 2015. However, a backup was made of all accounts, classes, tests, tasks, assignments, and student grades. Therefore, if you wish to have your accounts migrated to the new system, you must contact me at support@simplevle.com or use this contact form. Please include the word Migrate in the subject line so that I can quickly identify and prioritize migration related emails. In the body of the email, please include your account username and whether or not you want your class accounts migrated. If you wish to have all your class accounts migrated, then just write "all classes." If you wish to only have some of your classes migrated, then include each classname or classcode that you want migrated. All tests and tasks will automatically be migrated with your account as long as you contact me and give me your username. There are several reasons why accounts needed to be deleted. The main reason is that I am using a new database structure, so the information needs to be altered in a way that the new structure can handle it. Also, there are many accounts that are inactive so we wanted to get rid of those to ensure that the system is not overloaded with uneeded data. I could go on but I don't want to bore you with technical details. We currently do not have a account. However, if you wish to create one and help maintain it, contact us at here.